Hi there, my darlings! On this lovely Saturday afternoon, when the sun is finally shining in NYC after some serious thunderstorms, I'm very excited but also slightly nervous to show you my very first cosmetics review! 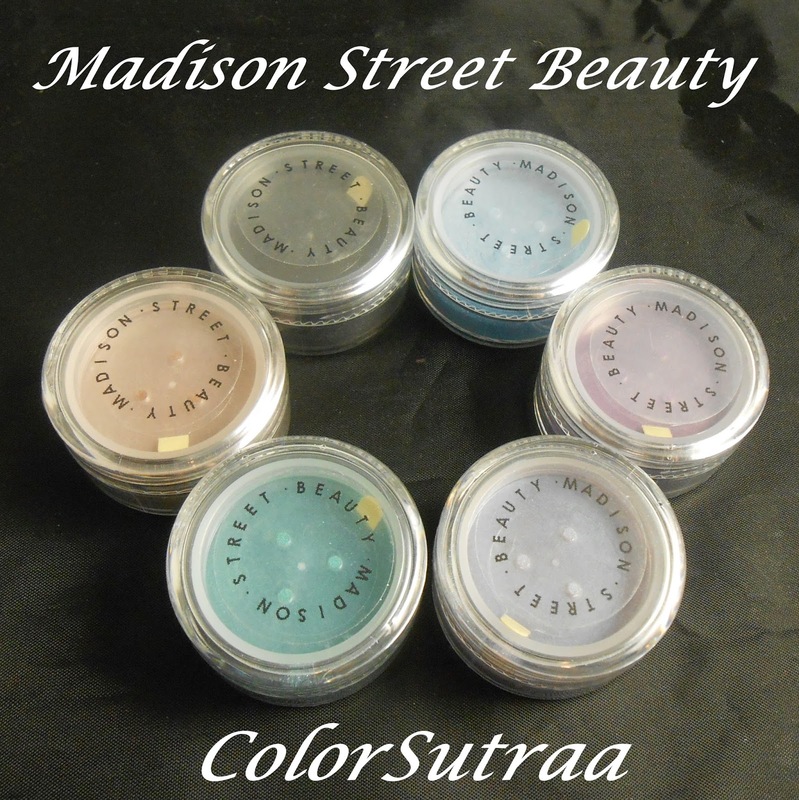 For the first time but hopefully not the last, I'll be showing you some gorgeous loose, mineral eye shadows from Madison Street Beauty! I've loved makeup all my life, since I was a teenager growing up in India, and I have pots of my favorite brands all over my bedroom but it's a different ball game all together photographing and showing them off on the blog! 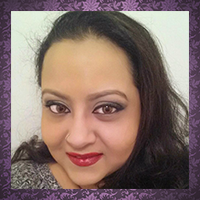 However, when I saw a twitter call for bloggers from Madison Street Beauty, I gathered my courage and contacted them. After corresponding with Bridget, one of the co-founders directly, my fears were laid to rest--she is super easy to work with and incredibly welcoming! 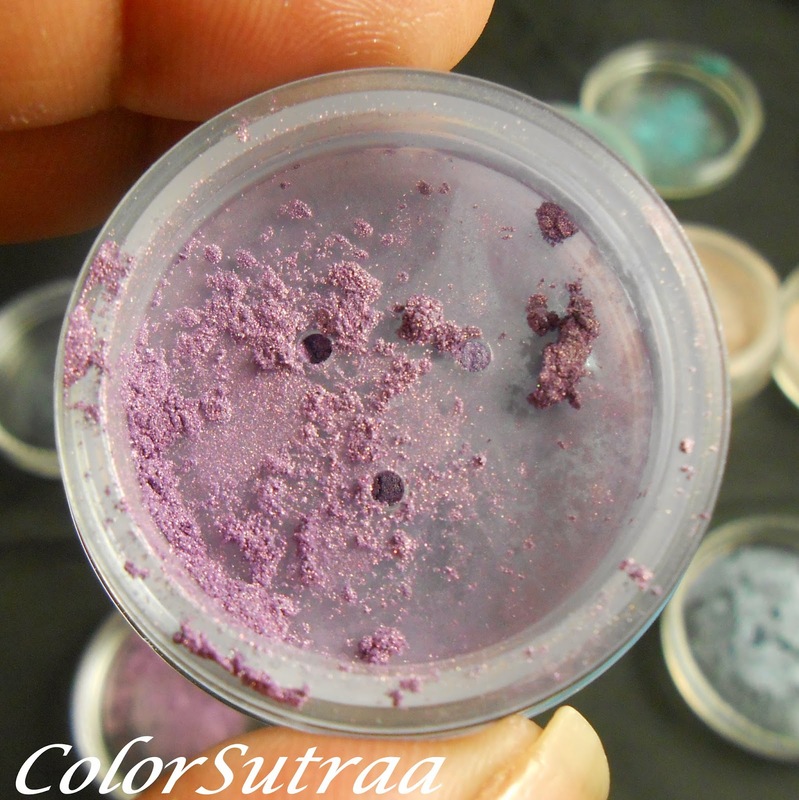 She asked me to pick 6 eye shadows that appealed most to me and explained that they always sent out full-sizes, rather than smaller samples, so that bloggers could enjoy the product even after the review had been completed! And I sure am enjoying them! Take a look at the 6 I picked! At Madison Street Beauty we're passionate about offering all natural products. Check out our line of eye shadows, foundation, blush, bronzers, concealers, nail polish, lip balms and more. Madison Street Beauty was founded to provide environmentally friendly products with all natural and vegan cosmetics. Founded in 2011 from humble beginnings, we have quickly become an indie beauty favorite online. Our goal is to make finding natural products as easy and as affordable as possible while providing the highest standards of customer service. Our dedication to conservation extends throughout our business so you won’t find needless and wastefully extravagant packaging or damaging, chemically filled products being marketed aggressively in an inefficient and ecologically harmful way. We want to put a stop to that and show people that you don’t have to pay the earth to get the highest quality products that don’t hurt you or the environment. We pride ourselves on our reputation and feedback and want nothing more than for every single customer to have a happy experience and try out all natural alternatives. We are also proud to say that everything we sell is made by hand right here in the USA from our location in Las Vegas. We hope to see you all visit us on our social media pages below and we look forward to assisting you in any way we can. If you have any questions please don't hesitate to ask. I have to say I was hard-pressed to pick just 6 out of their line-up of 184 shades but pick I did! Let me show you the six beautiful loose eye shadows, one by one! 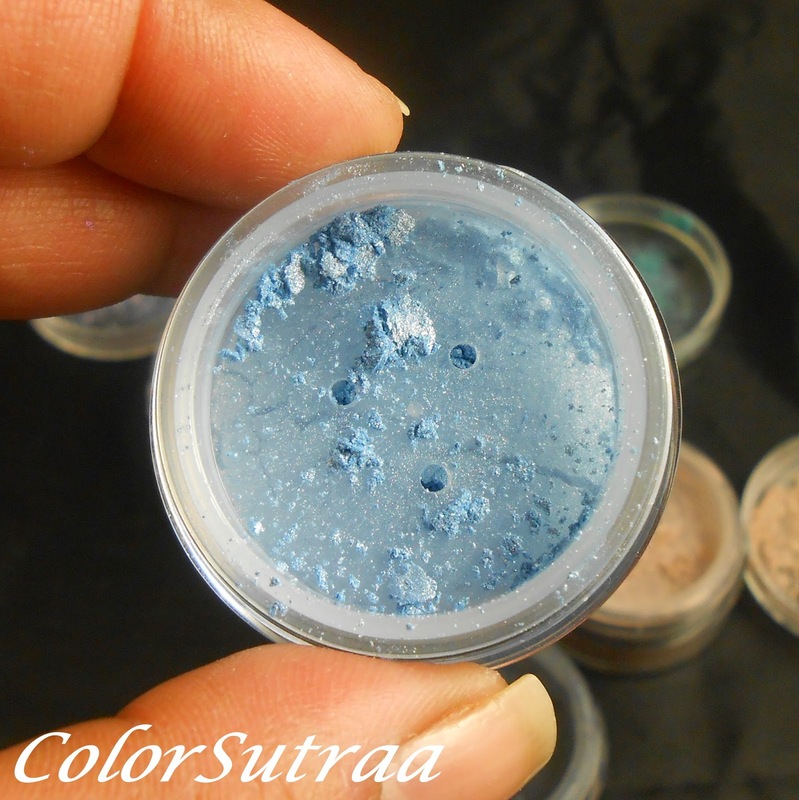 CARIBBEAN BAY : sheer turquoise blue with bright blue shimmer. 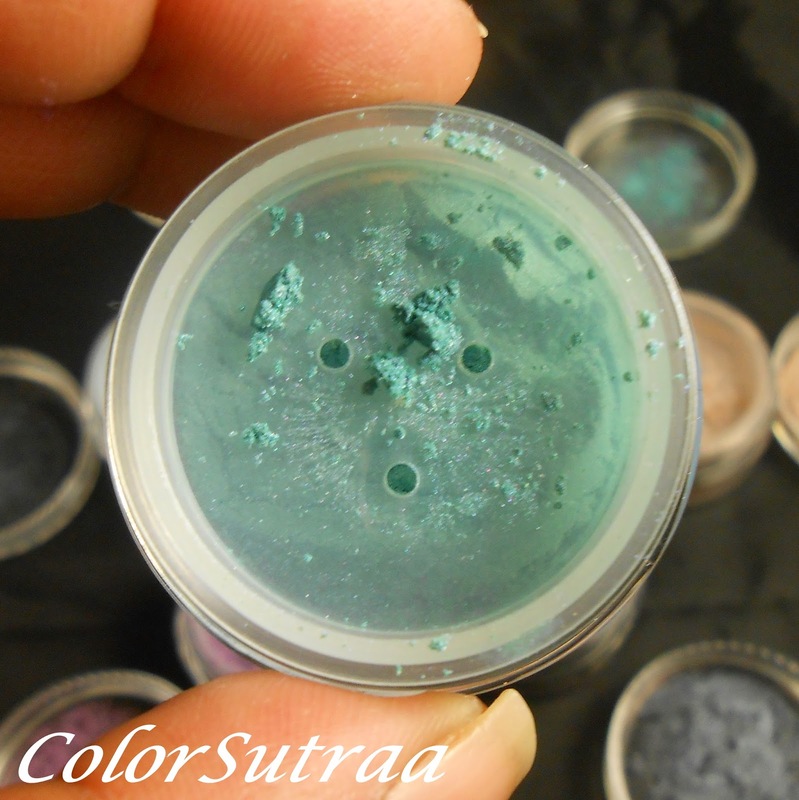 FAIRY DUST : an ethereal and sheer light purple and mint green duochrome shade, very sheer and shimmery. HIMALAYAN BLUE : a shimmering sky blue. Here's a a closer look of them swatched on my arm, under indirect lighting from a daylight bulb. 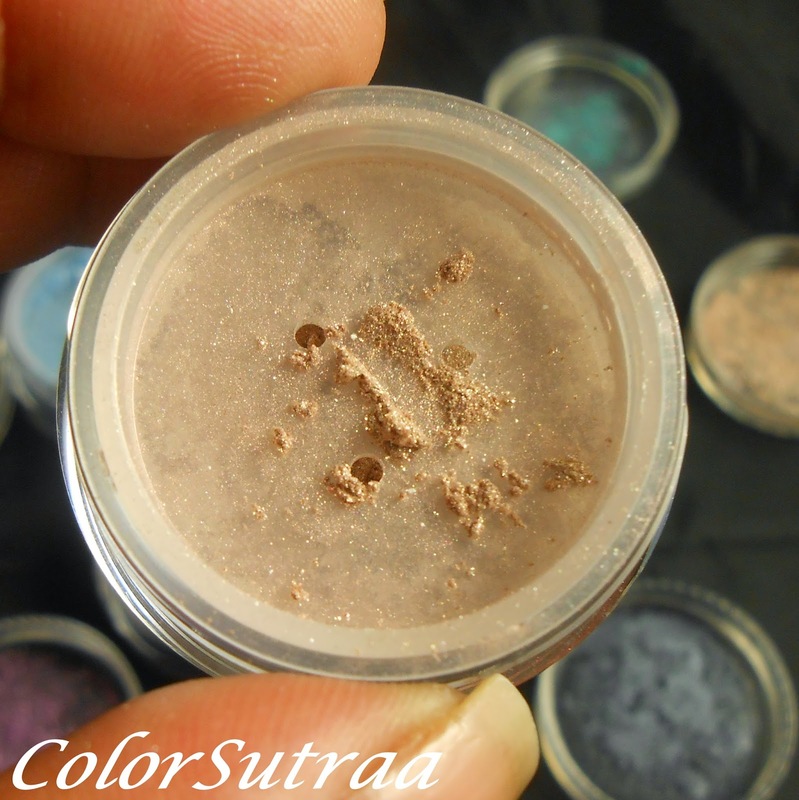 IMPRESSIONS : I have to say these are very high quality loose eye shadows! 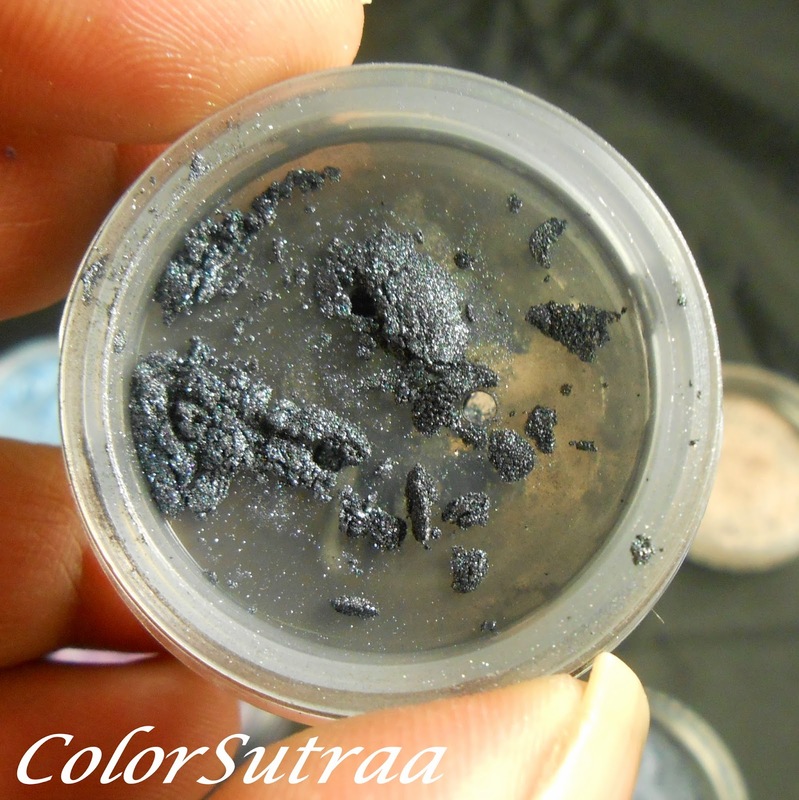 I picked sheer or semi-sheer shades but they are all very pigmented--just a couple of swipes of the shadow on a brush gave me the results you see above. 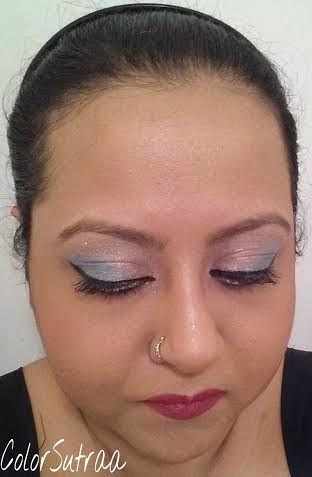 For the look I created below, I used a base of Benefit's Stay, Don't Stray primer and just a couple of disposable eye shadow applicators--the eye shadows felt incredibly smooth and silky and blended quite easily, without caking or creasing. 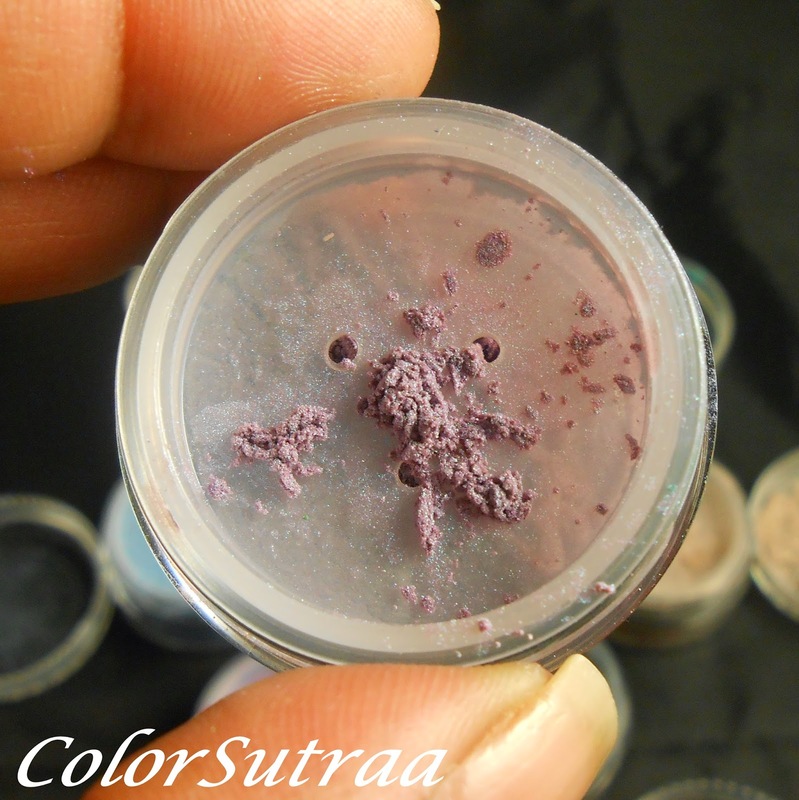 Being loose pigments, there was some fallout but I did my eyes first, used a eye make-up remover pad to wipe up any stray pigment on my face and then applied my foundation. The results--SO beautiful! I would definitely recommend this brand and fully intend to pick up a few more shades to my stash! So there you have it, my darlings! My very first makeup review and I'm so glad it was such a lovely experience, thanks to Madison Street Beauty! 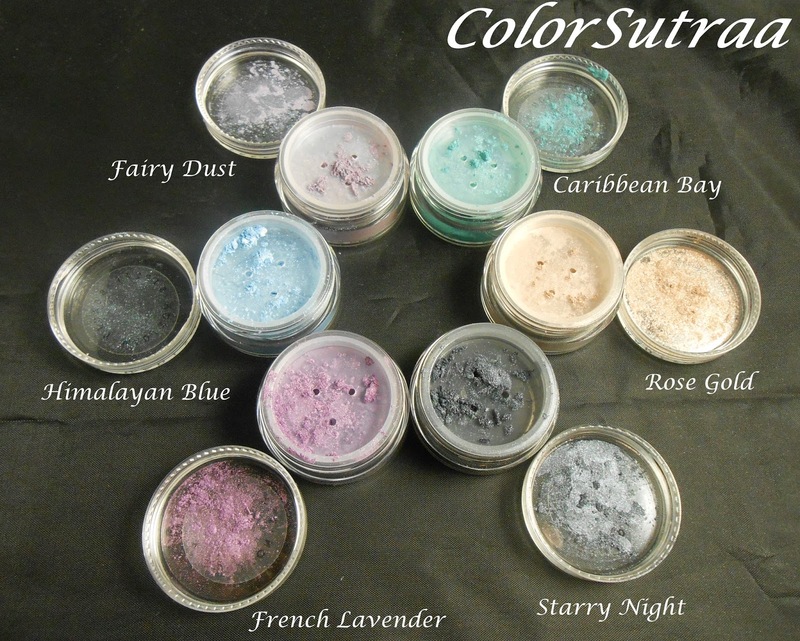 If you would like to take a peek at their huge selection of eye shadows for the fab price of $4.99, you can find them on their website HERE or if you prefer to shop through Etsy, you can find them HERE. Facebook Instagram Twitter Pinterest Website Which of these beauties are YOUR favorite? Do you like seeing cosmetic products reviewed here? Share your opinions with me in the comments section below! I love the shadows, but can I just say that I'm totally jealous of your eyeliner skills?! It's perfection! Oh thank you! I've been practicing since I was 12 lol! I highly recommend the Marbella or Eyeko pens though, great for precision!